Description: What and how we teach. 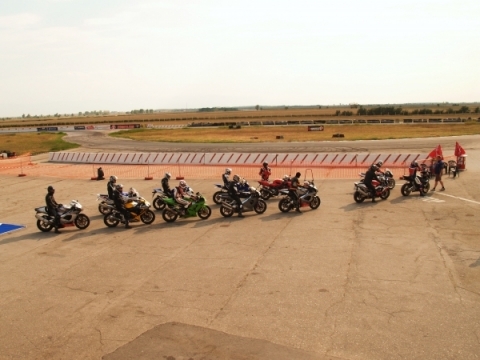 The California Superbike School Levels are the most effective progression of skill sets ever devised for learning the techniques of cornering. We do them the old fashioned way - one step at a time. A day at the California Superbike School is a full one, it is intense but in a relaxed, easy to learn atmosphere. It starts at 7am with registration and ends at around 5.00pm with a school debrief and a final chance to chat with your Riding Coach again before you ride home. There are 63 students on a day split into 3 groups of 21 riders (Rockingham has 3 groups of 24). You will be assigned a fully qualified Riding Coach for the whole day and he works with you one to one during a session although he has two other students to service too. There are five classroom based technical briefings per Level as well as five track sessions and an off track drill to perform. After each of the track sessions your Riding Coach will give you a personal debrief of your progress in that session. •	Your bike or hire a 2008 Yamaha R6 from us. Everyone starts at Level One and works through the program. 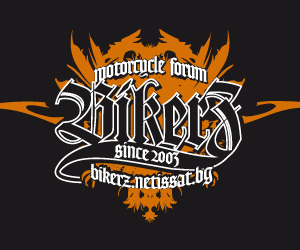 You will be assigned to a group of riders of a similar Level to you. 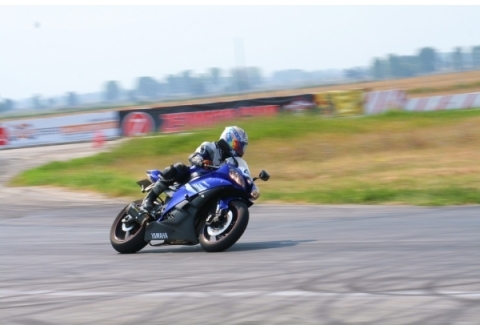 Level one is the start of your journey of continuous cornering improvement. It does not reflect your current abilities. •	The option to hire one of our beautifully prepared new 2008 Yamaha R6's fitted with Dunlop Qualifiers or you can bring your own bike. 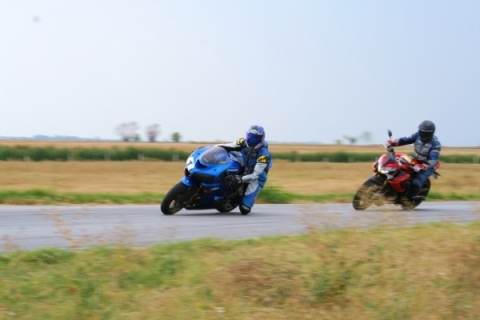 Level I covers the six most common cornering errors. These are the foundation on which you can build from. 1. Corner entry speeds. In too fast? In too slow? 3. The turn is started at the wrong place. Turning too early? Too late? How do you know? 4. Steering errors and corrections. Leaning into the turn too quickly or too slowly. Correcting lean angle mid corner? 5. Inappropriate rider input. Too much or too little for the situation you face. 6. Inconsistent apexes. Too wide, too tight or varying? Anyone with a trained eye can spot these errors. We not only have the trained eyes but the exact, correct remedy for each error. That is what Level 1 is all about. We even supply the reasons why mastering each of them is crucial and what rewards to expect for getting it right. Imagine for a moment that you have practised and mastered each of these six points. What would your own riding be like if you had? 1. Perfect turn entry speed. Just the way you like it every time. 2. Flawless throttle control. The bike feels stable through every corner. 3. Precision turn entry. A turn-in point that really handles the corner – every time. 4. No nervous steering corrections. Just one clean, sharp and accurate sweep through every turn. 5. Complete relaxation. In harmony with the bike under all conditions. 6. Laser cut lines. Consistent ones like a pro can do. Is this possible? We'd be lying if we said it was easy or that we could coach you to perfection on any one of these points in one day. But, after Level I, you will know why it went wrong and have a way to correct it! Each technical point is fully explained and has an on-track training drill. 1. What is a reference point and how many do you need for each and every turn you ride? 2. What is the key to improving a riders understanding of their riding space and can you create and use more? 3. What do you do when you restrict your vision and how do you cure this? 4. What is the best way to use your eyes to the maximum and gain the most information with the least effort? 5. What signals the end of a corner? Can you change it or are you a lazy end-of-turn rider? 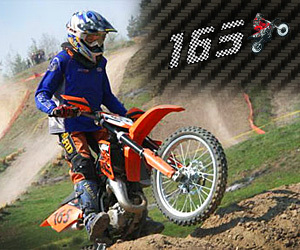 A rider's visual skills are the ultimate foundation of his riding, the more you see, and the more confident you are. The better you can interpret what you see the easier and more confident riding becomes . In other words, you are as good as your visual skills, no better. If you don't know where you are then it is very difficult to decide where you want to go and how to get there. 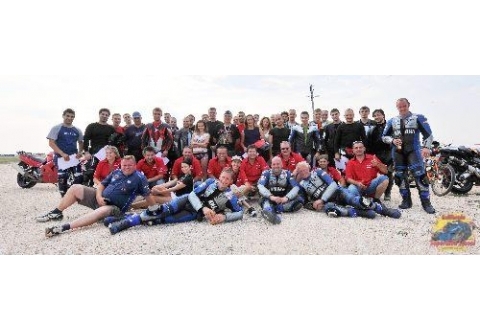 Level II addresses this vital aspect of riding. As always, one step at a time. 1. Ride with cornering precision. 2. Have a choice of lines. 4. Cure target fixation, any rider’s worst enemy. 5. Drive harder to the next turn - just like the MotoGP guys! Vision is everything and after Level II you will know how it works and how to avoid and beat the pitfalls that you naturally have. You will beat the survival reactions that make you do the wrong thing at the wrong time in the wrong place.